My friend Kristi shared this recipe for Sweet Chicken Salad with me, and summer just hasn’t been the same since! Chicken Salad in the summer is one of my favorite things, especially piled high on whole wheat crackers (Triscuits!). Kristi is the inspiring mom of five precious children (you can read her story here), and she is a great cook. 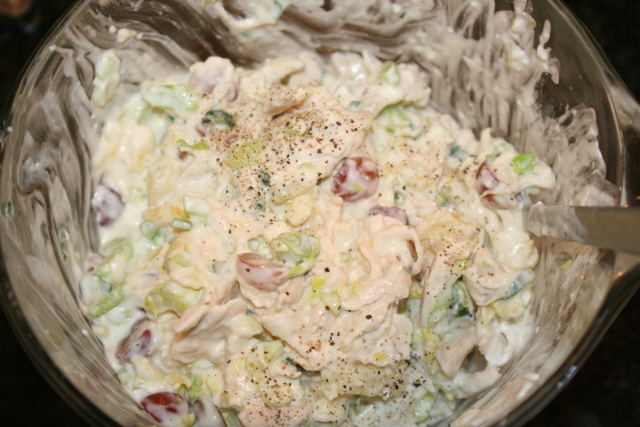 This is her family chicken salad recipe, and I just LOVE it! Now, I am not going to pretend that this isn’t really fattening, but I will just be honest and tell you I think it is worth every gram of fat. 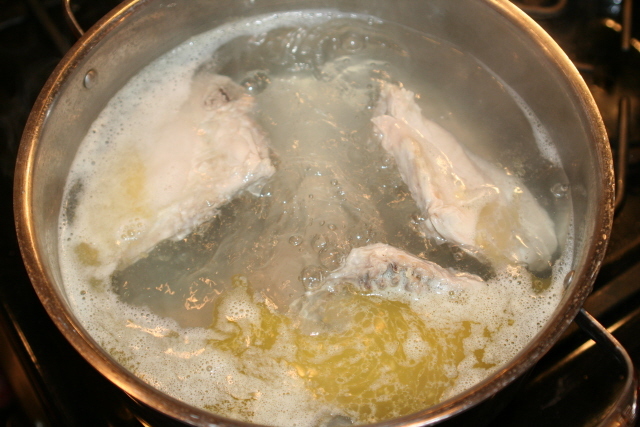 Boil chicken in water with some butter and salt. Cook for about 15-20 minutes, or until done. Let this cook while you chop and prepare everything else. Once done, let cool and shred. Mix cream cheese, mayo and pineapple juice in bowl. I whisk to mix well, get lumps out. Add all other ingredients to cream cheese sauce. Then fold in shredded cooled chicken. Boil chicken in water with some butter and salt. Cook for about 15-20 minutes, or until done. Let this cook while you chop and prepare everything else. Once done, let cool and shred. Add all other ingredients to cream cheese sauce, then fold in cooloed, shredded chicken. 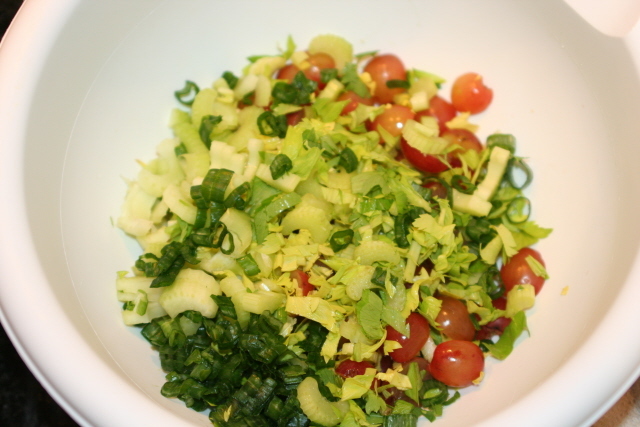 when i make becky’s chicken salad i also add almonds (lightly toasted) or pecans. This sounds delicious! I can’t wait until I get home so that I can make it. My mouth is watering! Never had this type of chicken salad before. Sounds YUMMY! This recipe sounds so yummy! I am thinking I may have to serve this at my tea on mini croissants!! Hi! I am making this..and was wondering, do I add all the pineapple or just the juice? Thank you! 🙂 Excited!! Drain the pineapple. 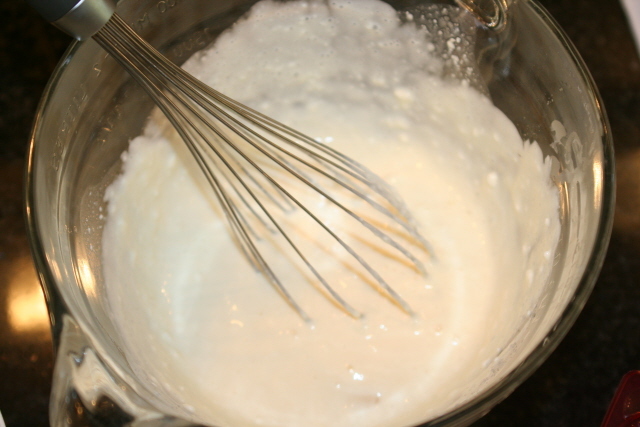 Add the pineapple juice to the cream cheese & mayo (shown in step 2 picture). Then add the drained pineapple to the other ingredients (step 3). Hope that helps!